Esteemed civil rights lawyer Fred Gray grew up in Montgomery, Alabama, in the 1940s-50s, but to pursue his goal of “destroy[ing] everything segregated that I could find,� he had to leave the state to earn his law degree. Because African Americans weren’t allowed to attend Alabama law schools and Gray knew people who had moved to Cleveland, Ohio, he enrolled at Western Reserve, now know as Case Western Reserve University. In recognition of the new edition of Gray’s memoir, Bus Ride to Justice, Case Western’s Think Magazine‘s Bill Lubinger spoke with Gray about his experiences at the school and about his experiences with Martin Luther King and Rosa Parks in the Montgomery Bus Boycott and other civil rights events. They also talked about the new movie Selma, produced by Oprah Winfrey, in which Cuba Gooding Jr. has been cast as Gray. 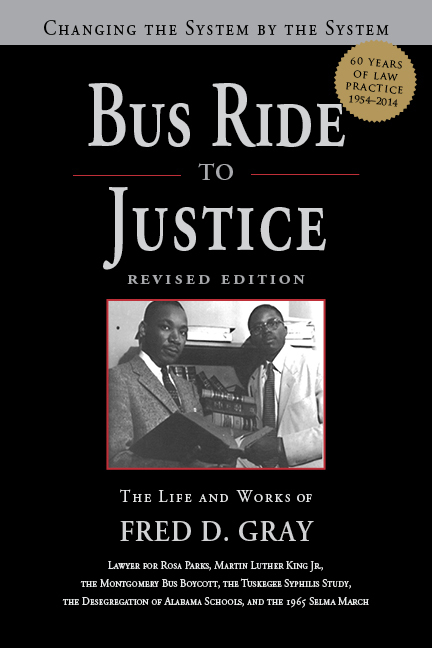 Gray spoke with Lubinger about the revelation in Gray’s new edition of Bus Ride to Justice that he and Rosa Parks had discussed, prior to Parks’s historic arrest, the need for someone to be arrested to serve as an inciting incident to end bus segregation. Gray said, “She worked at a department store a block-and-a-half from where my office was located, so we shared our lunches every day and talked about the conditions on the buses. We talked about what one should do if asked to get up and give up her seat [to a white passenger], and I knew Mrs. Parks was certainly ready to do whatever she could do to end these problems. And, of course, it developed that the opportunity presented itself and she refused to get up and give her seat and was arrested.” Gray subsequently consulted others in the community and made plans for the Montgomery Bus Boycott. 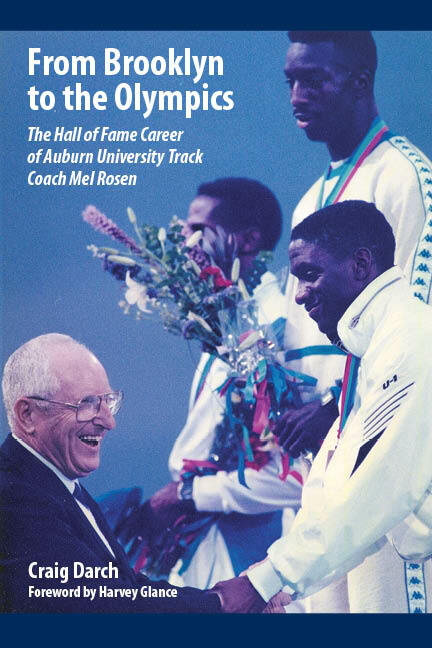 Read “A Legal Legend” on the Think Magazine website. Bus Ride to Justice is available in hardcover and ebook from NewSouth Books, Amazon, or your favorite bookseller. Eugene Bullard: World’s First Black Fighter Pilot has won the Gold Moonbeam Children’s Book Award in the Nonfiction category. The mission of the awards is to “celebrat[e] youthful curiosity and discovery through books and reading” by honoring the best children’s book, authors, and illustrators. The prizes are awarded by Jenkins Group, Inc. and IndependentPublisher, and are given in 43 categories. The story of pioneering aviator Eugene Bullard is known to military history and aviation enthusiasts, but is not as familiar to the general public. Eugene Bullard recounts Bullard’s story from his birth in 1895 through his combat experiences as as expatriate pilot in World War I and World War II, to his return to America. Eugene Bullard is also a finalist for Best Young Adult Book in the New Mexico-Arizona Book Awards, to be announced in November. Eugene Bullard fans know he had another talent, as a drummer, developed during his time spent in Paris. In a short piece of amazing archival footage turned up by our author, you can see Bullard playing the drums with an ensemble of American jazz musicians in a nightclub called Zelli’s. The source of the video, Critical Past, identifies the flier in its description of the brief film. This historic footage is a rare glimpse of the celebrated pilot after his World War I triumphs. 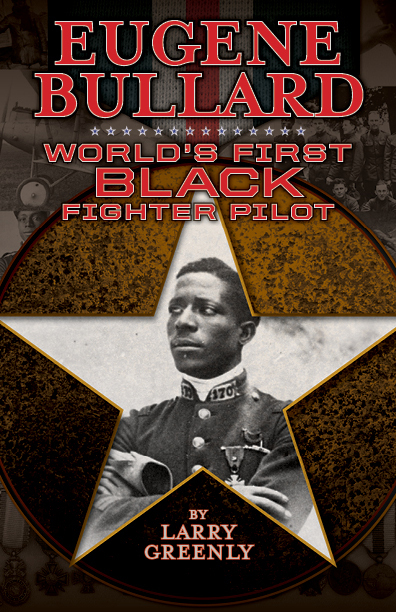 Eugene Bullard is available in hardcover and ebook from NewSouth Books, Amazon, or your favorite bookstore. 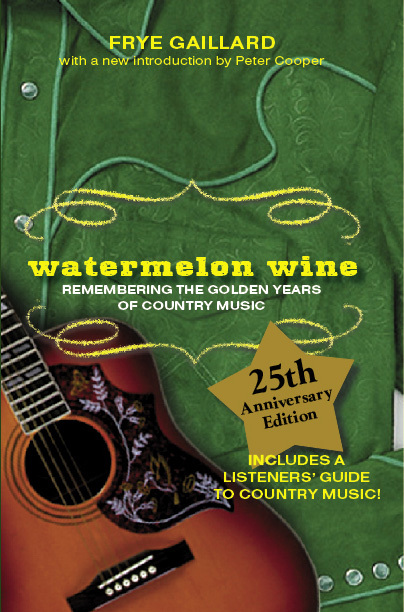 You are currently browsing the NewSouth Books weblog archives for October, 2014.